The U.S. Food and Drug Administration recently approved the first cannabis-derived drug, Epidiolex, which is used to treat epilepsy in children. The cannabis plant is comprised of over 104 different cannabinoids and around 750 different chemicals, yet, the FDA has only approved a CBD-based drug so far. 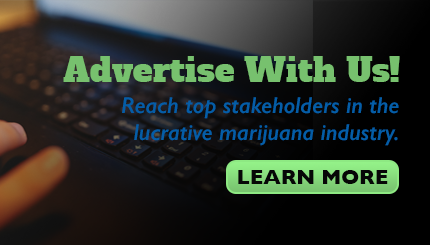 The FDA requires more clinical trials and studies of a large-scale nature to be conducted in order to fully understand cannabis and its various effects. Therefore, the lack of research is currently preventing the medical cannabis market from growing, however, large investments are nevertheless seen pouring into the industry to further develop the expansion of the medical cannabis sector. Furthermore, medical institutes are also conducting their own research in order to add credibility to the medical effects of cannabis, while many medical institutes have also backed cannabis as a form of medicinal treatment since it can replace other administered prescription drugs such as opioids. Cannabis, in comparison, is a much safer and cheaper option than opioids because it can be taken in larger and more frequent doses without the side effects of addiction and of brain and liver damage. 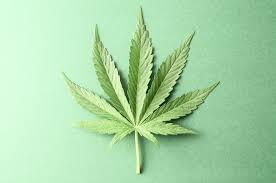 "Marijuana's medicinal benefits are largely attributed to THC and CBD," said Lynn R. Webster, M.D. Vice President of scientific affairs of PRA Health Sciences, "There is conflicting evidence about how the use of marijuana might affect pain, and whether or not legalizing marijuana might lower the necessity for prescribed opioids. States where it is legal to use medical marijuana do appear to have lowered their use of opioids. There seems to be a correlation between the availability of medical marijuana and a slower rise in the increase of prescribed opioids. While it can't be proven the two are related, the association is strong. The Rockefeller Institute of Government has found that, in states where patients have access to medical marijuana dispensaries, Medicare patients use 14.4% fewer opioids." Pressure BioSciences, Inc. (OTCQB: PBIO) yesterday announced breaking news that it has, "released a new, short video demonstrating the ability of the Company's proprietary Ultra Shear Technology (UST™) platform to create water-soluble CBD Oil that dissolves instantly, resulting in improved dosing effectiveness, enhanced absorption, and more aesthetically-pleasing products when added to carbonated soft drinks, vitamin-infused sports drinks, and beer.